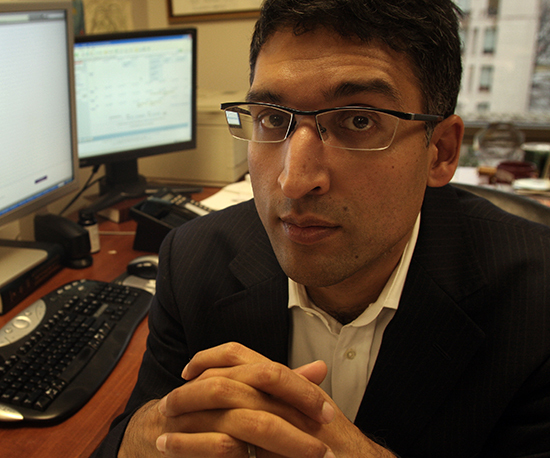 There is no better lawyer than Neal Katyal to give advice on how to succeed in law. We say that because at 47-years old, the Hogan Lovells partner is tied with legendary U.S. Supreme Court Justice Thurgood Marshall for the most high-court arguments ever by a minority attorney (and it is Marshall who integrated public education among many, many other important accomplishments before he joined the bench). Katyal has argued 34 cases before the U.S. Supreme Court, 32 of them in the last eight years. In 2016-17, Neal argued seven cases in six separate arguments, while the next-closest advocates argued four apiece. Katyal is a 1995 graduate of Yale Law School, and has been a tenured and chaired professor for two decades at Georgetown Law School. This was originally posted as a string @neal_katyal on Twitter. ADVICE FOR NEW LAW STUDENTS. Some inquisitive law students asked for advice as law school begins. Here goes, for whatever it’s worth. 1.The most impt thing is to realize that law is inherently social. It’s made by groups of people, and best understood in groups. 2.That means just studying material by yourself won’t get you what you need. Difft perspectives crucial. 4. And most impt it means: study with other people, and listen to them in class. 5. Most professors are using the classroom discussion as a way to tease out the divergence in perspectives. 6. If you can’t listen to those other perspectives w/an open mind, try again. It’s the most impt thing. 7. It will make you a far better law student and lawyer, but also citizen. 8. I have never understood why students don’t read the law review articles of their professors. 9. It’s easily the best guide to how they think and what they care about. And a great predictor of exam Qs. 10. Class discussion tends to be a good predictor too (tho this varies). 11. Best possible exam prep is to take as many old tests as you can from that professor. 12. I find study guides totally overrated. If your prof not good at organization, then helpful. 13. I advise my students to make a case-specific outline, and a theoretical outline w/big pic concepts. 15. Most impt: Start thinking about improving your writing. This is the single most helpful thing you can do for being a good lawyer. 16. That means not just legal rsch and writing classes, but seminars. Read your writing out loud to yourself. Do many drafts. 17. In a future post I’ll talk about summer jobs. (Hint: apply to many.) I still have the 150 rejection ltrs. 18. * * * Law school can be stressful. Don’t lose the things that make you who you are. 19. If you like to exercise, don’t quit. If you like your nonlaw friends when you start law school, don’t lose them. 20. Don’t become an argumentative tool. 21. When you get your first year grades, there are a few people who are dancing openly in the streets. Others slinking back to their rooms. 22. It’s not over til its over. One of my favorite people ever completely failed a class in her first year of law school. 23. She was going to drop out. But instead, over a drink and a conversation, resolved to go back and work hard. 24. She got straight As after, and a very prestigious court of appeals clerkship. Prestigious law firm job, too. 25. And she is now a law professor at a top-10 school and published in most every major law review. 26. There are ebbs and flows in law school, like in life. Don’t let them get to you.